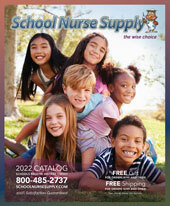 We at School Nurse Supply® update our catalog on an annual basis and provide seasonal flyers to continually bring you the most up-to-date and innovative products in the market place. Please fill in all the spaces in the form below to receive your updated catalog or seasonal flyer in the mail today. instructions that you may have.